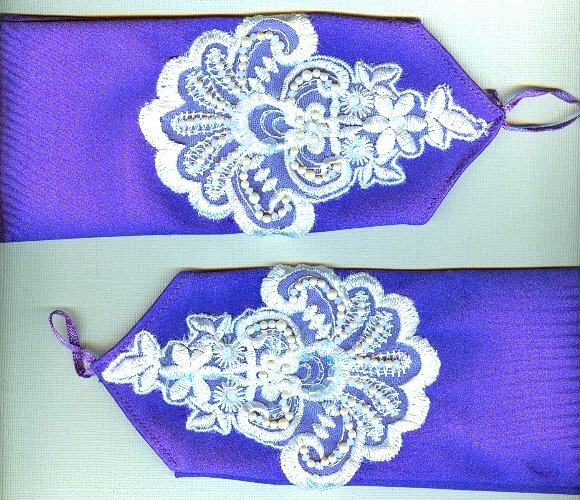 These amethyst purple fingerless gloves are 13-1/2? long, reaching to or above the average lady's elbows. They are elegant in the extreme, with their white lace sequined and beaded appliques, to which I've added clear iridescent sequins, matter blush glass pearls and the palest of pale pink opal Swarovski Crystal beads. The fingerless gloves are made from a micro fiber knit that is a silky and subtle blend of nylon and spandex. 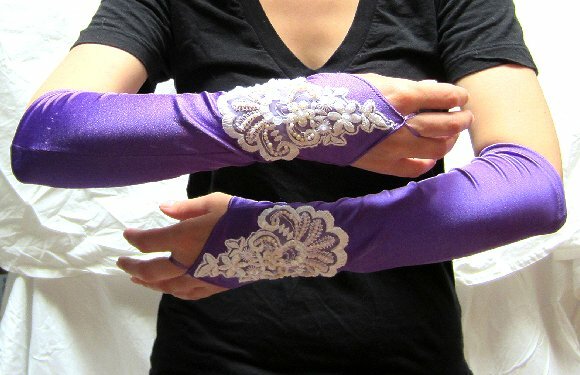 These gauntlets are undeniably feminine! In addition to being gorgeous, the fingerless gloves are easily cleaned: simply wash them by hand in cold water using only mild soap, and air dry them flat. Keep these beautiful long gloves in mind for quinceañeras, for sweet sixteens and -- of course -- for proms. 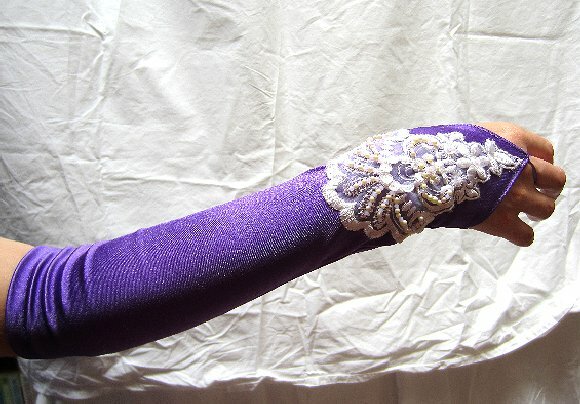 Naturally, these gorgeous purple fingerless gloves are brought to you by SPARKLE PLENTY.